Violet Mae Hise passed away peacefully on March 17, 2019 with her family by her side. Vi was born on September 2, 1933 to Alf and Grace Pearce in Wallace, Idaho. 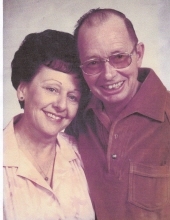 Married to Al Hise in 1952, they remained residents of the Silver Valley until the 90s when they moved to Coeur d' Alene. After 63 years of marriage, when Al passed away in 2015, Violet lived with her daughter and her family in Mead, Washington until her death. Violet was spunky, loyal, honest, funny, and a fiercely loving daughter, sister, wife, aunt, mother, grandmother, great grandmother, friend and neighbor. A presence to be reckoned with, she and Al were, "salt of the Earth, and shirts off their backs," kind of people. Once someone was their friend, they remained so for life. She will be deeply missed, especially by her family. She is survived by her sister, Agnes Pearce and dear friend, Alice Valdes; daughter, Margaret and Eric Koelsch; and grandchildren, Kevin Koelsch, Joey Koelsch, and Sara and Jerry Derevyanny. She is also survived by Jolene and Mitch Sigmond; grandchildren, Amber Hise, Chrysa and Greg Malone; and great grandchildren, Charlotte and Jack Malone. There are too many cousins, nieces, nephews and friends to mention, but who were always in her thoughts and prayers. ln addition to her parents, Violet was preceded in death by her son, Kevin Hise; husband, Al Hise; brother, Ray Pearce; grandson, Mark Sullivan; and niece, Anna Pearce. The Family would like to thank the Hospice of Spokane employees, especially Justine and Daniel, for the loving, supportive care they provided to Violet and her family. They are angels among us. A viewing/visitation will be held from 7:00 to 8:30 PM on Wednesday, March 27, 2019 at Yates Funeral Home – Coeur d’ Alene Chapel, 744 N. 4th St., Coeur d’ Alene, ID. Her funeral is planned for 11:00 AM on Thursday, March 28, 2019 at St. Luke’s Episcopal Church, 501 E. Wallace Ave., Coeur d’ Alene, ID with a reception following. A graveside service will be at 2:00 PM at the Shoshone Memorial Gardens in Kingston, ID. To send flowers or a remembrance gift to the family of Violet Mae Hise, please visit our Tribute Store. A reception will immediately follow the funeral service. "Email Address" would like to share the life celebration of Violet Mae Hise. Click on the "link" to go to share a favorite memory or leave a condolence message for the family.